We have to be honest! Spain has the sharpest dressers, the Costa Blanca has the prettiest girls and Jávea has the most talented fashion designers. Mix it all together and set the scene for a grand fashion show with the Mediterranean as a jaw dropping backdrop. Stunning local models parading cutting edge creations from local designers and fashion stores. Its an event not to be missed by anyone interested in smart summer shoes, the latest trends in clothing, creative accessories or simply beauty. 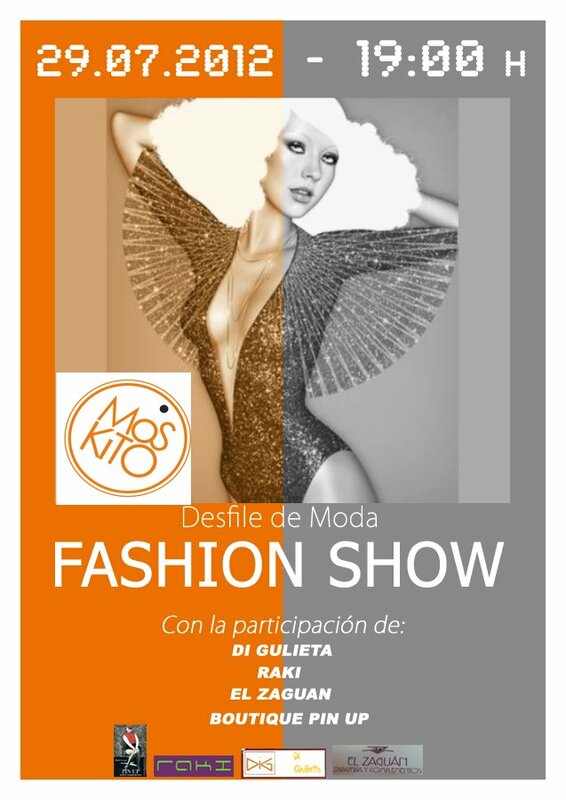 The fashion parade is happening on Sunday July 29th at Chirinquito Moskito, the beach bar nearest to the Javea port, and starts at 19.00 (7pm). 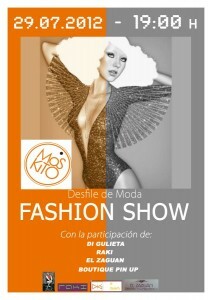 Entry for the fashion show at Mosquito is free but you are advised to come early to get a good seat for the show. Everyone rants about the fashion houses of Italy and France but have a closer look at Spain. The creativity often unfolds in more daring and alternative ways than the conservative designers of France. In general the classiest dressing population in Europe and the plenty of trend setters have come out of Spain – and Jávea can proudly present a long list of local fashion designers with talents reaching way beyond the borders of Spain. The fashion show at the Moskito beach bar has a 1950s pin up theme with the artistic makeup and hair style performed by Michael Maurice. The show features local designs, fashion stores and creations such as shoes from El Zaguan, outstanding new lines of bikinis from Giulietta Di, bags and accessories from Raki, hats from Sharon Mann to name but a few. This entry was posted in Costa Blanca News, What To Do In Spain and tagged 50s fashion, accessories, bags, Beach Fashion Show, bikinis javea, chirinquito, El Zaguan, fashion show Jávea, Giulietta Di, hats, Jávea, Moskito, Parade, pin up, Pinup, Raki, raki raki, Sharon Mann, shoes. Bookmark the permalink.